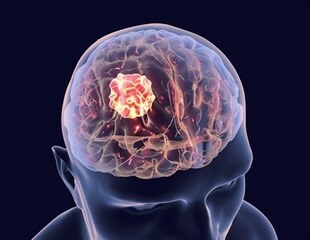 Scientists at the University of Toledo Health Science Campus and Van Andel Research Institute have discovered an innovative way that may stop the spread of the most lethal and aggressive brain cancer glioblastoma multiforme (GBM). In laboratory studies, scientists demonstrated that activating a specific family of proteins halted cancer cell migration into healthy tissue. One of the greatest challenges in modern medicine is developing drugs that are highly effective against a target, but with minimal toxicity and side-effects to the patient. Such properties are directly related to the 3D structure of the drug molecule. Marblar is gamifying the process of technology transfer. We post technology on our platform in the form of a challenge, and the Marblar community then competes to uncover new problems these technologies could solve – thereby discovering new market applications for these technologies. Teagasc researchers are looking to seaweed for proteins with health benefits for use as functional foods. Historically, edible seaweeds were consumed by coastal communities across the world and today seaweed is a habitual diet in many countries, particularly in Asia. Helix BioMedix, Inc., a developer of bioactive peptides, today announced financial results for the second quarter ended June 30, 2012. Helix BioMedix, Inc., a developer of bioactive peptides, today announced financial results for the first quarter ended March 31, 2012. Helix BioMedix, Inc., a developer of bioactive peptides, today announced financial results for the year ended December 31, 2011. Researchers have combined bioactive peptides to successfully stimulate wound healing. The in vitro and in vivo study, published today in PLoS ONE, demonstrates that the combination of two peptides stimulates the growth of blood vessels and promotes re-growth of tissue. Further development of these peptides could lead to a new treatment for chronic and acute wounds. Midatech Ltd., a global leader in the design, development, synthesis and manufacture of nanomedicines, announced today it has received Swissmedic approval to start the First-in-Human clinical trial with insulin-coated gold nanoparticles, which will be coordinated through its Swiss subsidiary PharMida AG. Helix BioMedix, Inc., a developer of bioactive peptides, today announced financial results for the company's third quarter ended September 30, 2011. The Center for Biotechnology (CFB) at Stony Brook University has established the Biotechnology Commercialization Fund to accelerate the development of promising biomedical technologies emerging from Stony Brook University. Helix BioMedix, Inc., a developer of bioactive peptides, today announced financial results for the company's first quarter ended March 31, 2011. Helix BioMedix, Inc., a developer of bioactive peptides, today announced financial results for the year ended December 31, 2010. Newly-created bioactive peptides promote wound healing through the growth of new blood vessels and epithelial tissue, such as skin. These wound-healing peptides, synthesized by researchers at the Tufts Center for Innovations in Wound Healing Research, increased angiogenesis in vitro by 200 percent. Researchers at Eindhoven University of Technology (TU/e) and the University Medical Center Groningen have succeeded in culturing a layer of kidney cells in the lab. These cells maintained their functional properties, and are able to purify blood. Helix BioMedix, Inc., a developer of bioactive peptides, today announced financial results for the company's second quarter 2010 ended June 30, 2010. Brookhaven Science Associates, the company that manages the U.S. Department of Energy's Brookhaven National Laboratory, and Biosurface Engineering Technologies, Inc. of Rockville, Maryland, have been issued a U.S. patent for an improved second-generation technology for designing synthetic peptides that are important for tissue regeneration. Helix BioMedix, Inc., a developer of bioactive peptides, today announced financial results for the company's first quarter 2010 ended March 31, 2010. Helix BioMedix, Inc., a developer of bioactive peptides, announced financial results for the year ended December 31, 2009.